The National Party breached copyright by using a piece of production music in a 2014 election advertisement that resembled Eminem’s ‘Lose Yourself’, a court has been told. Eight Mile Style alleges the National Party breached several sections of the Copyright Act by using a piece of production music called ‘Eminem Esque’ it bought from a company called BeatBox. In 2014, National claimed the track had been used on several television shows, and Eminem’s publishers did not complain about any other use of it. Steven Joyce also called the use of the track “pretty legal” – a statement which was famously mocked by comedian John Oliver. Eight Mile Style LLC is a copyright administrator, which protects and enforces composers’ rights as well as collects income on their behalf. ‘Eminem Esque’ was used in a National Party television advertisement featuring rowers during the 2014 general election campaign. In his opening address, Eight Mile Style lawyer Gary Williams said the case was about the “wrongful use of an iconic piece of music”. “‘Lose Yourself’ is undoubtedly the jewel in the crown” of Eminem’s catalogue, Mr Williams said. 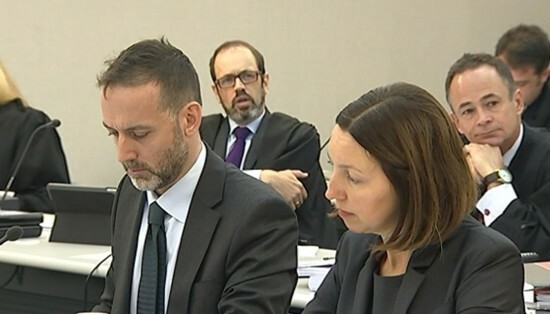 ‘Lose Yourself’ was played in court as at least nine lawyers listened in silence. The track was then played again with no lyrics. Mr Williams said this was because the lyrics are irrelevant in a copyright case such as this – all that matters is the music. Mr Williams said the idea of “losing yourself in the moment” is closely associated with the song’s distinctive guitar riff, and as such is highly prized by advertisers. 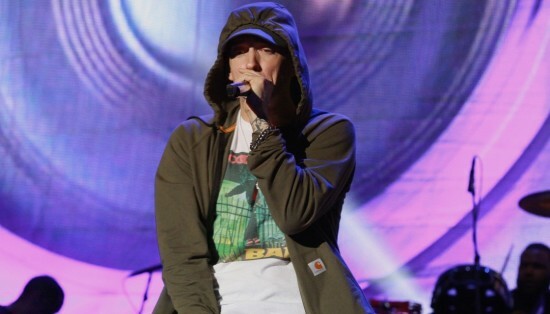 Songs such as ‘Lose Yourself’ commanded licensing fees “in the millions of dollars”, he said. He said ‘Lose Yourself’ has been licensed for advertising purposes only on very rare occasions. It’s generally well-known in the advertising community that ‘Lose Yourself’ is not generally available for advertising purposes, he said. On occasions when approval was given, the license holders always demanded creative input and right of refusal in the event they didn’t like the resulting advertisement, Mr Williams said. The hearing is set down for six days.